An assortment of our fresh bagels paired with cream cheese spreads, sitting on a bed of lettuce, accompanied by cucumber and tomato slices. Variety of fresh pastries and bagels, arranged on a tray and served with cream cheese, butter and jam. Sliced smoked salmon presented on a bed of lettuce with sliced cucumber, tomatoes and Spanish onions. Decorated with capers and served with an assortment of our fresh bagels. A delicious variety of our signature breakfast sandwiches served on your choice of bagels. Your choices are: B.L.T., Western Omlette, Turkey Sausage & Egg, Scrambled Egg & Cheese, Super Nova (Cream Cheese w Smoked Salmon, add 3.00/sandwich). Our classic sandwiches prepared on our fresh bagels, accompanied by pickle spears. Your choice is as follows: Egg Salad, Grilled Vegetables, Tuna Salad, Chicken Salad, Black Forest Ham, Turkey Breast, Reuben & Bagel Club. Our classic sandwiches prepared on your choice of bread, wraps or bagels, accompanied by pickle spears. Your choice is as follows: Egg Salad, Grilled Vegetables, Tuna Salad, Chicken Salad, Black Forest Ham, Turkey Breast, Reuben & Bagel Club. Scoops of Tuna, Egg, and Chicken Salad piled on a bed of lettuce and surrounded by cucumber and tomato slices, accompanied by our fresh bagels and pickle spears. Fresh seasonal field greens tossed in our signature dressing, accompanied by our fresh bagels and butter. Seasonal vegetables arranged on a platter and accompanied by our signature ranch or onion dip. Small serves 8-10 / Large serves 12-15. 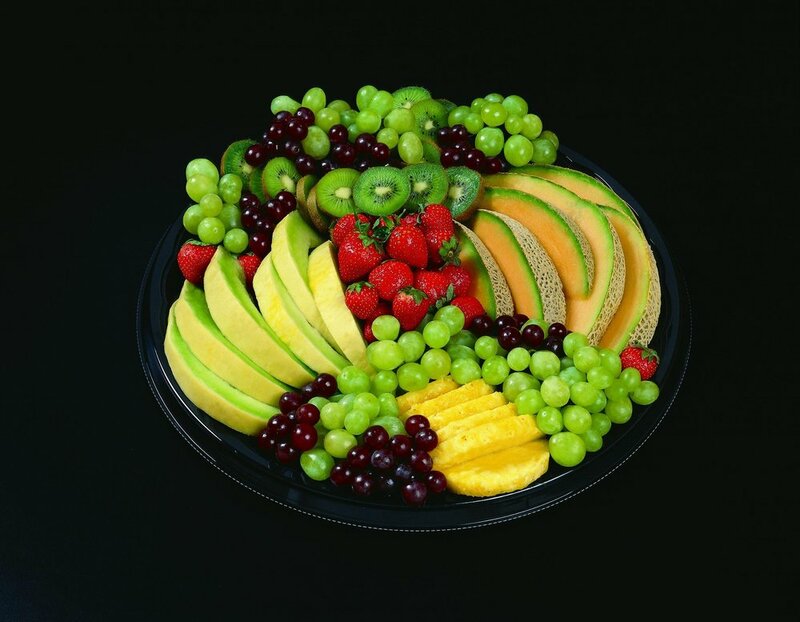 A colourful array of seasonal fruit, all conveniently sliced into ready-to-eat portions and arranged on a tray. A delicious variety of cured meats and cheeses, accompanied by grapes, olives, and crackers or sliced bagels. What a way to end the day! An assortment of cookies, 2-bite brownies and danishes to finish off your gathering. All orders include condiments (where applicable), napkins and disposable utensils.